According to the American Heart Association, walking has the lowest dropout rate of any physical activity. Think it doesn’t do any good? Think again. Walking is low impact; easier on the joints than running. It is safe – with a doctor’s okay – for people with orthopedic ailments, heart conditions, and those who are more than 20% overweight. In addition, research has shown that you could gain two hours of life for each hour of regular exercise! 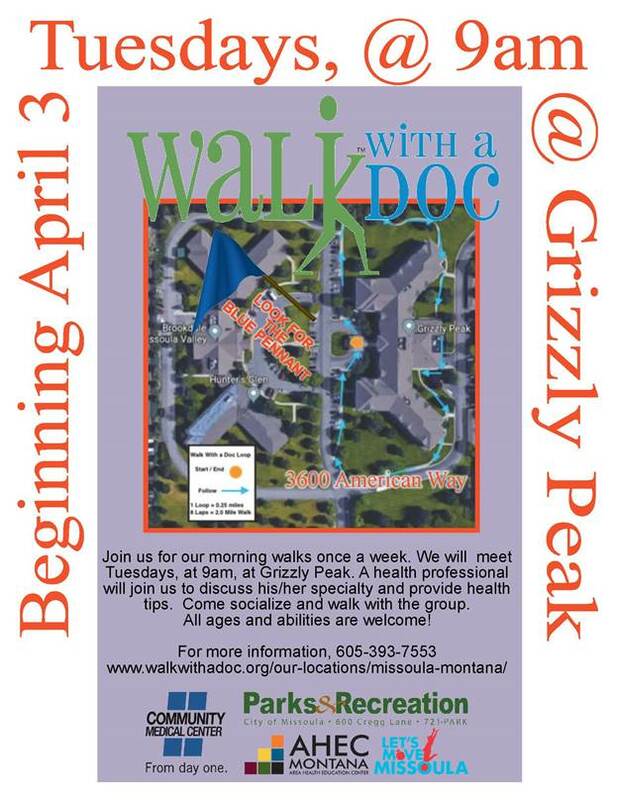 Missoula Walk with a Doc is for everyone interested in taking steps for a healthier lifestyle. What better way to spend your Tuesday lunch hour than on your feet making strides to improve your health? 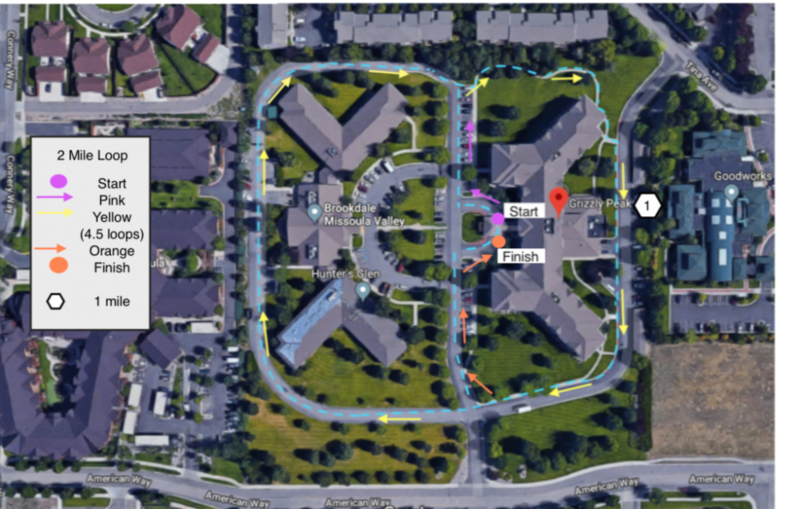 Join your Missoula community members on a weekly 2-mile loop around Grizzly Peak Missoula senior living facility. From Reserve, go west on American Way. Take the first right. Meet us at the entrance (see map). Look for blue pennants. Each program begins with a 15-min. “Doc talk,” presented by a local physician, specialist or UM professor/researcher. All level of abilities are welcome. No pre-registration necessary, but participants will be asked to sign a waiver, on site, prior to initial participation. Call 406-243-4746 for more information or visit the special link provided at right.